Think of a podcast as a radio show or simply as a recording available via the web. Podcasts allow you to listen to recordings when, where, and how you want–on your computer, with just a web browser, or using your MP3 player. The NotHans Podcast is available free of charge on iTunes and our website. 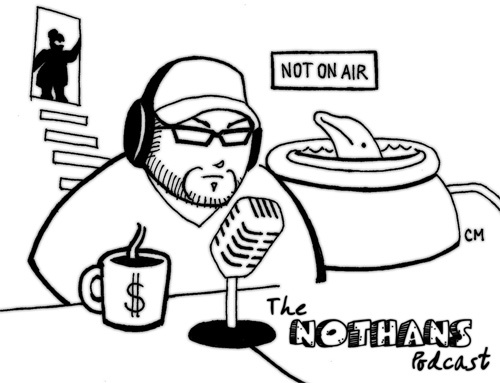 The NotHans Podcastis an online radio show written and performed by Hans Scharler. Each episode includes original comedy sketches, parodies, characters, skewed news reporting, and entertainment reviews. The show is set in his mom’s basement with periodic interruptions from Hans’ Mom and his trusty sidekick, “Huck Finn”. Hans Scharler calls The NotHans Podcast, “The Theater of the Mind”. 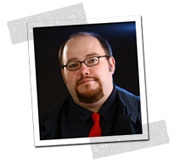 Others refer to his show as “Pompous”, “Intriguing”, “Mildly Entertaining”, “Self-Indulgent”, and “Worth a Listen”. Hans has been wearing business casual since the 6th grade. At his senior prom, Hans wore a cumber-bun with “Han$” bedazzled on the front.